Can Universal Credit be made to work in reducing poverty? 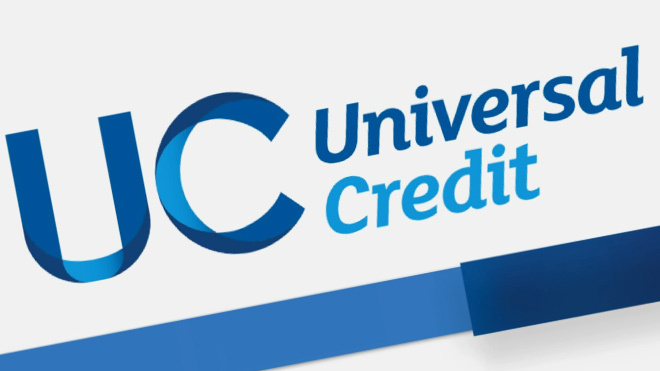 Universal credit (UC) may be much-maligned but like it or not, it’s coming our way. Given this, how can it best deliver on its dual promise to make work pay and reduce poverty? The TUC and Child Poverty Action Group have been exploring this question in recent months, ably assisted by Howard Reed of Landman Economics. Here, we offer a sneak preview of our results. Through our project, we’ve analysed how various structural changes to UC would impact on poverty rates and work incentives. The reforms modelled essentially fall into three types: uplifts to the different UC elements; adjustments to the amount of UC that claimants can keep in full when they work (the work allowances – formerly known as disregards); and changes to the amount of UC that is withdrawn once earnings surpass the allowance (the taper). So what did we find? Perhaps unsurprisingly, the most direct way of increasing UC’s poverty reduction impact is to increase its generosity. So a 20% uplift to the children’s element would reduce child poverty by 2.5%; increasing the disability element of UC by the same degree would reduce poverty for adults with disabilities by more than 2%; and offering additional support to self-employed families would further mitigate the poverty experienced by this ever-growing group. Put another way, £10 a week extra for families with children would get us almost 2 percentage points closer to our child poverty targets. We’d hope a reforming government would consider an increase of this magnitude, but the project recognises that it would cost (a lot). While it’s wrong to view uplifts as a gift – in most cases the increases we modelled would simply restore the value of benefits to their pre-austerity levels – with money tight, we’ve explored how to get a child poverty reduction hit from UC in other ways too. Critically, we’ve been considering whether, in its current incarnation, the new benefit incentivises patterns of work we know are most strongly correlated with low rates of child poverty. Cross-national analysis shows that low poverty societies have similar labour market features: they have higher levels of parental employment than us, for example, and less of a class gradient in terms of hours worked. Given this, it makes sense to structure UC so that it encourages, rather than inhibits, these optimum employment outcomes. If we want to get more parents into work, our modelling suggests three changes should be on the cards. First, introducing a work allowance for second earners is essential if we are to correct for the current dismal returns to more work that couple households have under UC (and could do a whole heap for gender equity too). Second, increasing the amount that lone parents can earn before their UC award is tapered away would improve work incentives for this poverty-prone group. And third, increased support with childcare costs would benefit parents in both single and couple households with children, encouraging all families to view (more) work (more) favourably. Encouraging those on low incomes to work additional hours is just as important for poverty reduction. In its current form, UC improves the incentives to enter work and to work a low number of hours. But gains from employment rapidly dwindle once households earn beyond their work allowance, offering little financial reason to take on additional work. The risk, then, is that UC will produce an army of households in ‘mini-jobs’: good for the unemployment stats and employers who want a flexible workforce, maybe, but not so good for poverty. UC needs to be reframed to improve the gains for those with higher hours of work. We looked at three options in the project: reducing the taper (effective but expensive); introducing a lower withdrawal rate for those working over a certain number of hours (effective and a bit less expensive – but potentially confusing); and an additional element for households working over a certain number of hours (the magic 16 hours being our working assumption for the point at which this would kick in). Of all these, the most promising option looks to be an hour-bump – it increases the attractiveness of working more, is the least expensive option and decreases poverty to boot. We’ll be presenting these figures fully in a joint report later this summer. But as we’ve said before, adjusting UC’s parameters will only get us so far. The new benefit’s ability to make work pay and reduce poverty is to a large degree contingent on circumstances beyond its control. Tackling low pay, incentivising employers to offer a reasonable number of hours, and ensuring childcare is of high enough quality that parents actually want to use it will be essential if UC is to deliver on its many promises. But in the meantime, our project provides policy makers with a guide as to where the emphasis needs to be placed within UC if its poverty reduction potential is to be maximised. 2 Responses to Can Universal Credit be made to work in reducing poverty? There is I believe an under-claiming of work related benefit entitlement and tax credits of £19.6 Billion. (YouGov/Turn2Us) Many people who are initially successful in receiving tax credits may then have it clawed back. This puts people off claiming. Yet civil social welfare and law advice, e.g. welfare rights advice, is being dismantled by the Government. While I do not know how the securing of over £19 Billion of unclaimed entitlement could directly help reduce poverty, I would have thought that it could have helped. In view of the above as one attempt at managing capitalism (and, in this case, probably to the detriment of those us living on the edge), I wonder if readers might be interested to know of a non-Marxist alternative to capitalism? As a name marker – and because it is based on the Statement on the Co-operative Identity from the International Co-operative Alliance – I call this alternative Co-operative Socialism. Such greater equality creates both environmental sustainability and peace – both within countries and, if adopted world-wide, global peace and sustainability, too. In the interest of transparency, I offer this in a personal capacity, not in my position – as PPC for Bromley and Chislehurst and as a member of both The Labour Party and of The Co-operative Party. Best – equally! – for all! ps I’m happy to travel and explain this plan for equality to anyone, anywhere.